Thank you to readers Joyce and Jonielle who submitted Frappuccino and Drink of the Week entries. Remember, if I use your submission on this website, I’ll send you a $10 Starbucks card. Joyce likes a Venti Green Tea Frappuccino with no classic syrup, 9 scoops of Match powder, and soy milk. 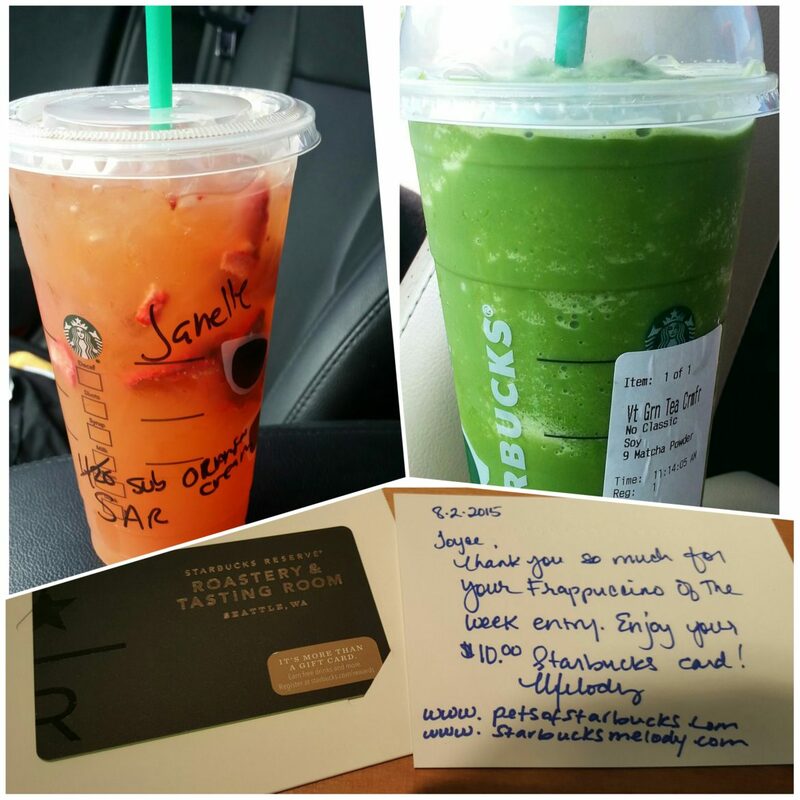 Joyce wrote to me on her birthday, having used a free MyStarbucksReward birthday reward to enjoy this drink! Happy Birthday Joyce! I’m happy to send you a $10 gift card to make your birthday last a little longer! 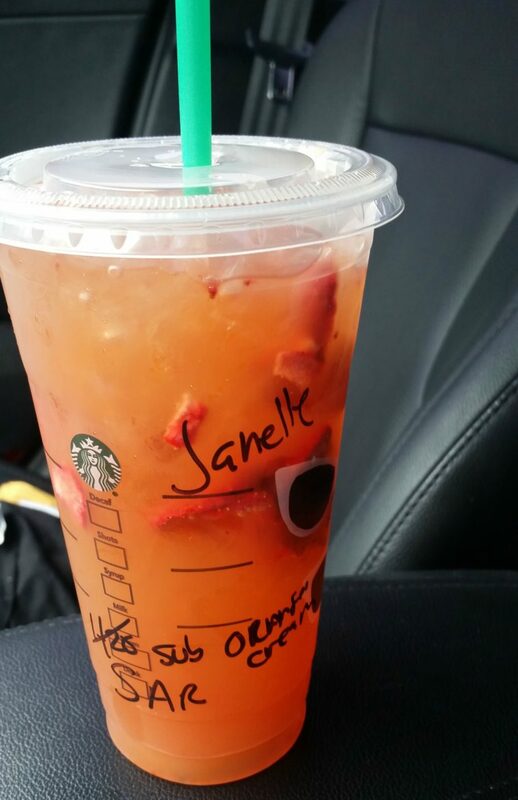 Jonielle mentioned that she counts herself in the group of customers that misses the Valencia Orange Refresher. After some experimentation, she found another favorite drink. 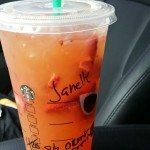 She orders a Strawberry Acai Refresher with no water, substitute Orange Cream (this would be the orange used in Fizzio Orange Cream – only sunbelt region Starbucks has Fizzio). She likes her drink shaken, not fizzed. Thank you Jonielle for the beverage creation! If only I could try it! 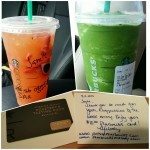 Here’s how you submit a Frappuccino (or Drink) of the Week (if I use your submission, I’ll mail you a $10 Starbucks Card as a thank you): Be sure to include a high resolution image of your drink. The beverage should be full and not yet consumed. Include all information about the drink recipe or drink build. I want to make it easy for others to order your drink. 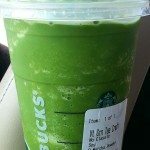 Include a statement that you took the photo of the Frappuccino and that you’re giving me permission to use it – entry into the Frappuccino of the Week (or drink of the week) category presumes that I may freely use your photograph on this site. Please introduce yourself and let me know if you are a customer or a partner. If you’re a partner, I’d love to know if you are a store manager, a coffee master, and/ or some small fun detail about your career – even your favorite coffee. Send your drink idea, image, drink build instructions, and all relevant information via email to Melody at StarbucksMelody dot com. If you want the $10 Starbucks card, I’ll need your mailing address. Thanks Melody, for the shout out~~~!!! melanie–the refresher drink can be made using orange mango juice as the substitute for water!